Granted, it was the Knicks but I don’t see many teams being able to slow him down, especially in this Budenholzer offense. 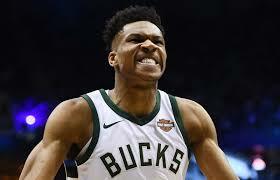 He’s averaging a ridonkulous 16.5 rebounds, 25.5 points, 6.4 assists, 1 block, and 1 steal so far. The usage rates for each game have been 41, 38, and 37! The lack of threeecolas have always been an issue, and I don’t see that improving too much this year. The poor free throw shooting should improve, as he’s a career 74% from the charity stripe, and the turnovers should abate by a huge margin. Currently, he’s at 7 per game, while his career rate is 2.5. Ain’t nothing but a G thang, baby! G will be that top 10 player you drafted sooner rather than later. I’m not one to boast or present fluff pieces, so when I provide a recommendation, EF Hutton is in the house. Now, a good buddy of mine told me to come check out a new restaurant he opened up. No joke. Indubitubly the best place in town. Was it the food? It was aiight. Then what? You know when people rave about the ambiance of an establishment? Well, you ain’t seen nothing until you’ve gone to The Place. As you walk from the parking lot towards the building, there are hundreds of cameras and sensors that scan your body and connect with your literal and virtual mind. This process takes about 5 seconds, so that by the time you reach the curb, The Place knows what you’re craving and digitally alters the environment to fit each individual customer. 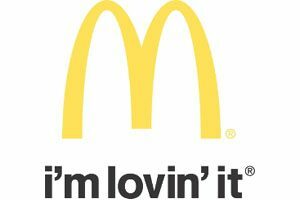 In my case, the golden arches appeared. Chicken nuggets? French fries? Sausage McMuffin with egg? Negative. The Place knew I was in search of a cheap shooting guard for my DFS lineups. Supersize it The Place asked? Indubitably. A machine printed out a small piece of paper, like the ones you see inside a fortune cookie. On it was written: Rodney McGruder. McGruder is 27 years old and has been in the league for three years. He’s played a total of 97 games, and the 20 points scored were a career high. Last night, he did get the start and played 34 minutes. 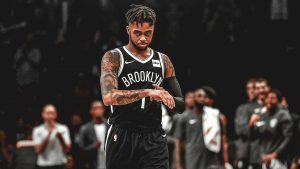 Now, Wayne Ellington and Justise Winslow did not play due to injury, but McGruder has the trust of coach Spoelstra and will play when there are injuries on the wing. Santa Claus is known by the names of Saint Nicholas or Kris Kringle. Rajon Rondo is known by the names of Johnny, Swag, and The Yoga Instructor (nicknames courtesy of Basketball Reference). Claus’ height and weight are classified. Rondo is 6′ 1″ 186 pounds. Claus moves around via reindeer-drawn sled. Rondo uses his own two legs to run around the court. Claus is a global icon. Rondo could be if he hired the right marketing agency. Claus and Rondo are different on so many levels, but both are some of the most generous entities that man has ever known. Claus gives gifts to children that are well-behaved and coal to the bad children. Has anyone ever figured out why Claus is so freaking generous? Like, what’s his motivation? We are taught not to accept candy from strangers, especially those that stick their heads out from a windowless van. And for good reason. The candy is the bait to lure us in. And Claus? Anyways, regardless of motivation, Claus is a generous dude. 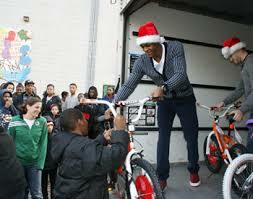 Rondo is also generous. He dishes out dimes that enable his teammates to score buckets easier. In fact, he is so generous that he had dished out 6,216 dimes, good for 31st on the all-time list, before the start of last night’s game. Make that 6,241 dimes, good for 30th on the all-time assist list. The 25 assist game was the ninth-best of all time! Scott Skiles, of all people, holds the record with a 30 assist game. Go figure. Rondo is not going to contribute much outside of assists and rebounds, but the dimes will definitely be plentiful. As for Claus vs Rondo, the edge has to go to Claus, as he has no rival and always seems to deliver. Rondo has his off nights. 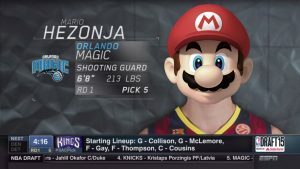 Now, Aaron Gordon and Evan Fournier did not play yesterday, so Mario was afforded an opportunity to showcase. When those two return, Super Mario will shrink back to the bench. Just file it away for the future that Mario has the ability to enter the “zone” when called upon.